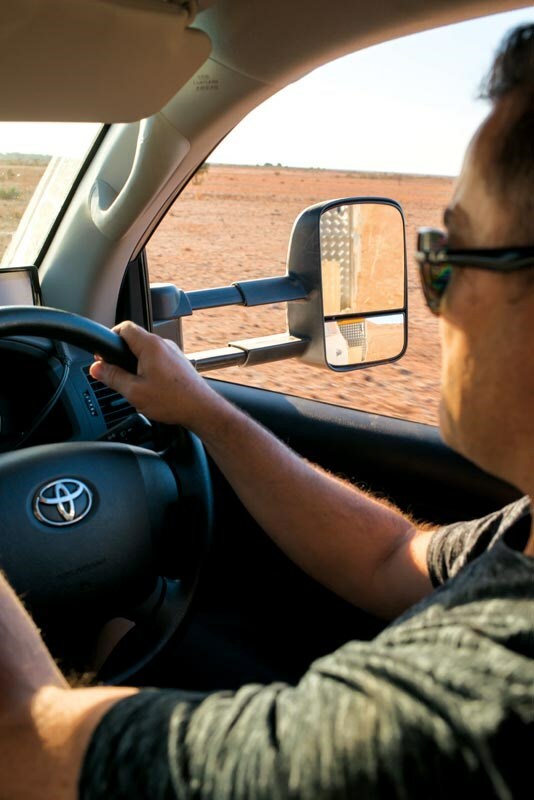 We have reviewed Clearview towing mirrors a dozen times, but every time we head out and use them again we are reminded of how great they really are. Not only a legal requirement for wide vans and trailers, they are also a practical upgrade for factory mirrors – they are bigger than most factory options, have split, twin mirrors and they are extendable. At this year's AL-KO Toughest Tow Test we had a range of cars fitted with Clearview towing mirrors, from the AL-KO 200 Series and D-MAX to Craig Greenway’s VW Amarok and Matt Simpson’s Mazda BT-50. The popularity of them is so great, you see them in every park and everyone we talk to knows and loves them. Using them again, it was clear just how useful the split mirror system really is, especially offroad when you really need to be able to see the top of your caravan when negotiating trees and getting your wheels and tyres around rocks. Being able to pull them in and extend them when towing the wider vans around Eldee Station was handy when in the tighter river beds. And getting out on the dusty roads of northwest NSW, having full extension was essential for keeping track of any faster moving road users. Clearview makes mirrors for all popular vehicle makes and models. Some are available with electric extension and adjustment and some come with with in-built indicators. You can pick them up from major 4X4 accessories retailers. The retailer should be able to help you with fitting them to your vehicle, but having seen firsthand how easy they are to bolt up, ordering a set directly online is also an option. Expect to spend about an hour to two fitting them yourself with everyday tools like sockets and screwdrivers.